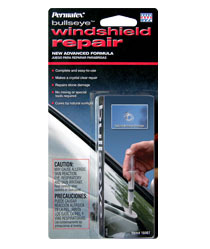 The first one-component windshield repair system designed to be used by the car owner. Requires no mixing, no heat. Safe and easy to use. Has the same index of refraction as the original glass to make the repair virtually undetectable.